Working on some citymaps for Wicked North Games. This company is bringing new life into the D6 RPG games initiative, which is great I think! Just started on some dungeon maps for Torn World. The first glance I had at an adventure module looks very promising so I’m very excited to make some maps for that world. cheers! Working on a campaign setting, and did the first map for it. I hope to someday create the complete set of maps and this is basically a testmap for textures and style. A first preview of the A0-DIN size map for the Aborea campaign I’m working on, has been uploaded at my clients forum. It’s really big and the first preview looks pretty cool, I think. You can check it out at their website. This week I have been contracted to do a worldmap for the on-line game Almasy Tactics. Very exciting as it will be another completely handdrawn worldmap in the style of the Sinisteria map I created some time ago. 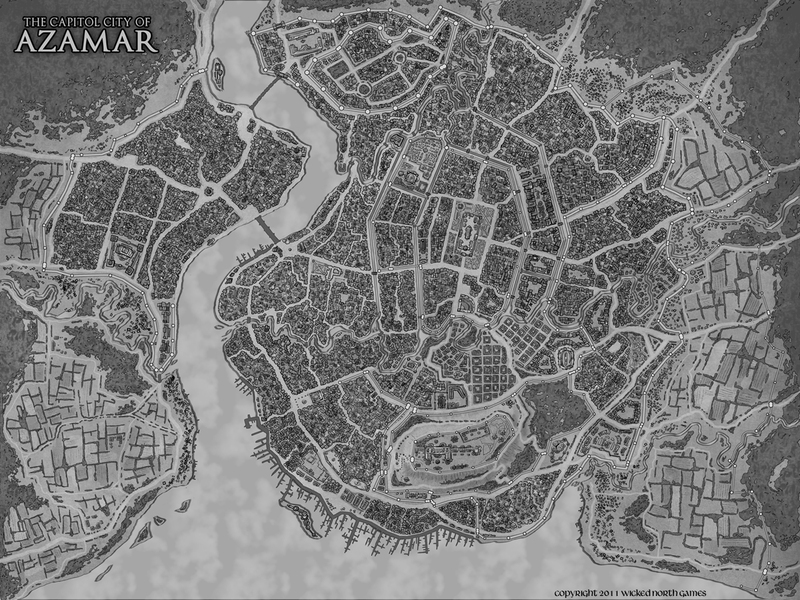 A WIP-thread on the cartographers guild website can be found here. cheers! Just finished the Forsaken Tomb dungeon map for KromeDragon Games. More details can be found on www.kromedragon.com. The map and illustrations for the Fantasy Brewmaster site have been completed. They are currently finalizing the website and the moment the website for the Burdissons Beer goes live, I’ll post the link.